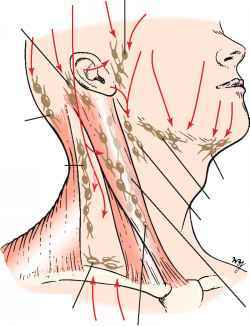 Figure 9-5 Lymph nodes of the neck and their drainage. If there is associated pain with a mass in the neck, an acute infection is likely. Masses that have been present for only a few days are commonly inflammatory, whereas those present for months are more likely to be neoplastic. A mass that has been present for months to years without any change in size often turns out to be a benign or congenital lesion. Blockage of a salivary gland duct may produce a mass that fluctuates in size while the patient eats. 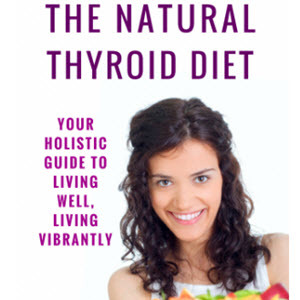 From the ages of 20 to 40 years, thyroid disease is more common, although lymphoma must always be considered. When a patient is older than 40 years of age, a neck mass must be considered malignant until proved otherwise. The location of the mass is also important. Midline masses tend to be benign or congenital lesions, such as thyroglossal cysts or dermoid cysts. Lateral masses are frequently neoplastic. Masses located in the lateral upper neck may be metastatic lesions from tumors of the head and neck, whereas masses in the lateral lower neck may be metastatic from tumors of the breast and stomach. One benign lateral neck mass is a branchial cleft cyst, which may manifest as a painless neck mass near the anterior upper third border of the sternocleidomastoid muscle. Hoarseness associated with a thyroid nodule is suggestive of vocal cord paralysis resulting from impingement of the recurrent laryngeal nerve by tumor.